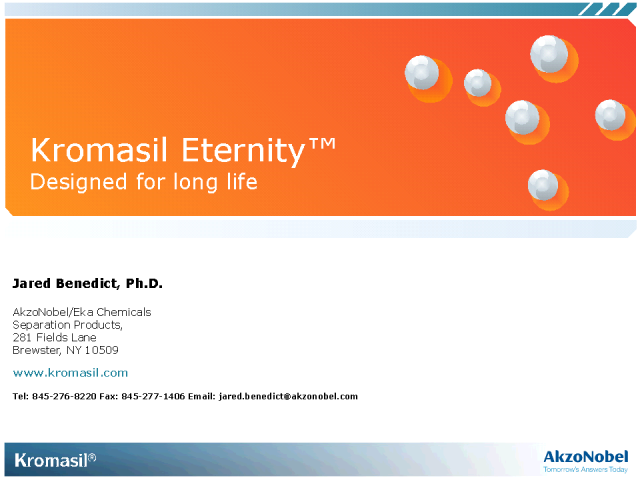 Kromasil Eternity is an innovative platform that allows users to work over an extended pH range. This presentation will highlight some of the benefits of developing methods with no pH limitations. Presented by: Jared Benedict, Ph.D.